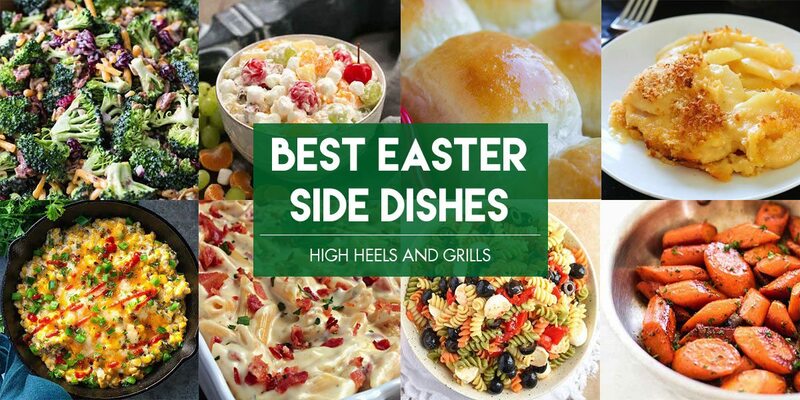 These are some of the Best Easter Side Dish Recipes you can find! There are a few variation ideas for some common Easter recipes and some other ones that might be fun to try. Every recipe is delicious! I may or may not have made this Best Easter Side Dish Recipes round-up when I was really hungry, so things kind of got away with me and I just couldn’t stop adding recipes! Bear with me through all of the scrolling though, because I promise it will be worth it. I kind of grouped these into like-recipes, but they’re different from each other, so it will give you lots of ideas to put a twist on some classics. These recipes are all from some of my favorite bloggers and each one is going to make your Easter dinner rock this year! 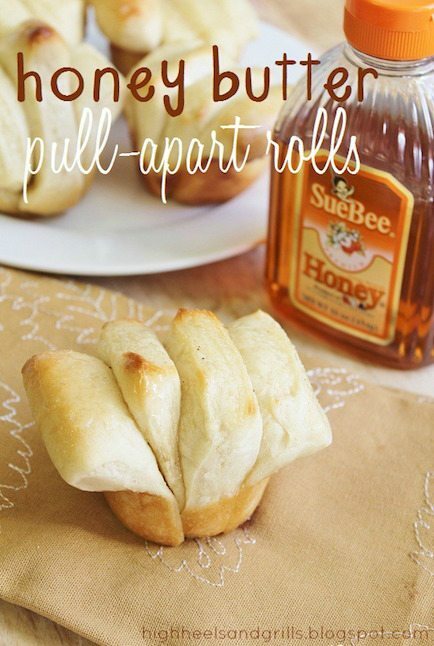 Honey Butter Pull-Apart Rolls – These are my favorite rolls on the planet. They’re made from scratch, so they take a little bit of time, but they’re so worth it. They have a sweet and savory aspect to them and turn out delicious every time! 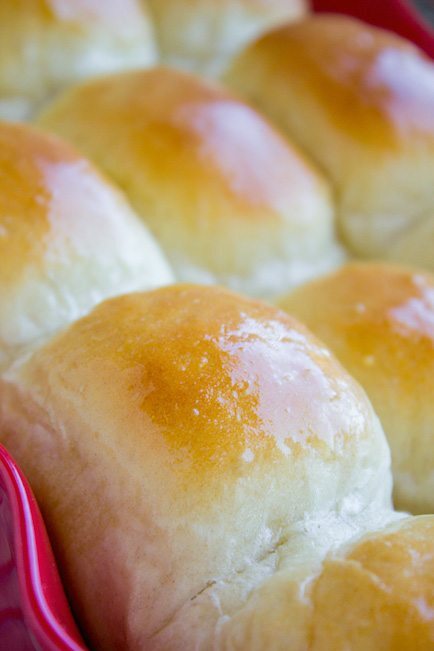 Famous Dinner Rolls – These look so fluffy and buttery. These would be great if you need a simple, regular roll recipe! 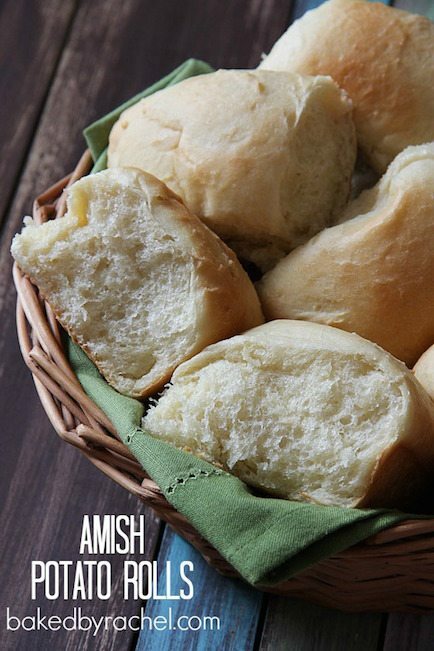 Amish Potato Rolls – If they’re Amish, you know they’re going to be good. 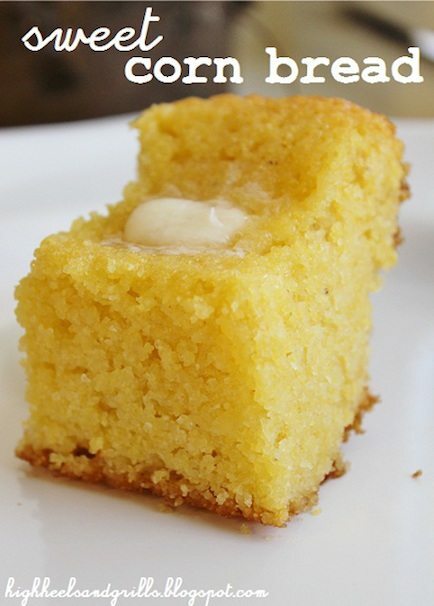 Sweet Corn Bread – This is one of the most popular recipes on my blog and for good reason. 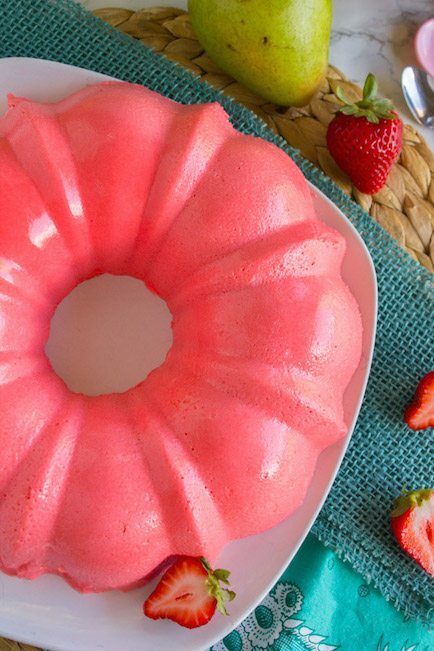 It’s super moist, has a light sweetness to it, and goes great with everything. I haven’t met a person that doesn’t like it! 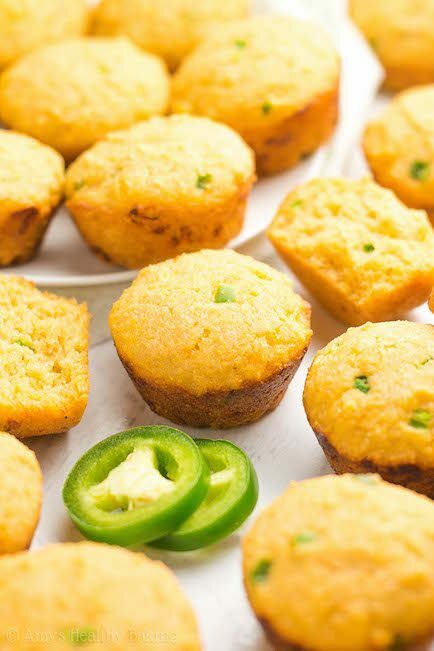 Jalapeno Corn Bread Mini Muffins – If you’re wanting a more savory cornbread option, these look perfect! 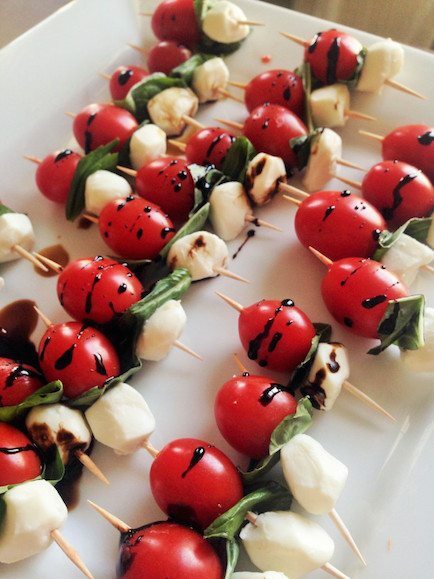 Caprese Salad Skewers -Such a simple, yet elegant side for your Easter feast! 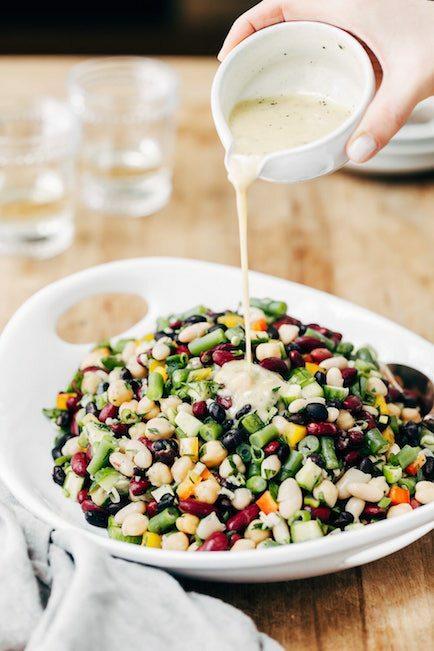 Five Bean Salad – This just plain looks amazing. 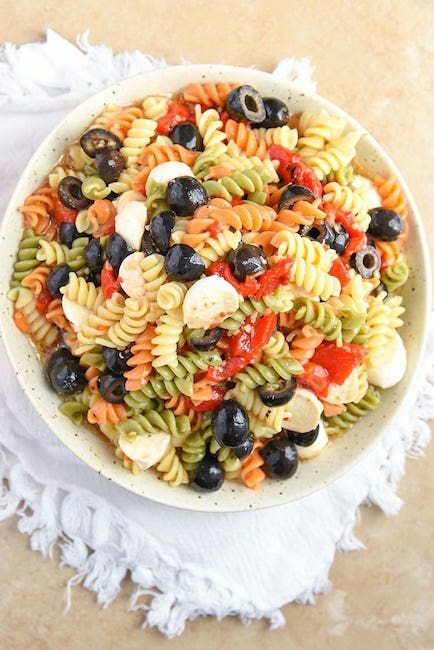 Tri-Colored Pasta Salad – Pasta Salad is my jam and this recipe looks phenomenal. 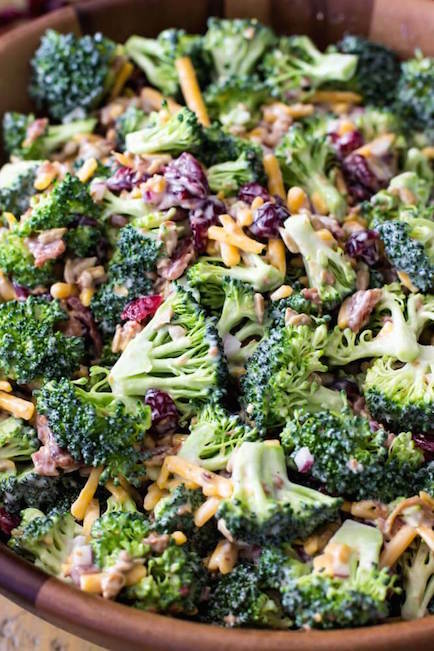 Broccoli Salad – Every Easter dinner needs a good Broccoli Salad. This one is my go-to. 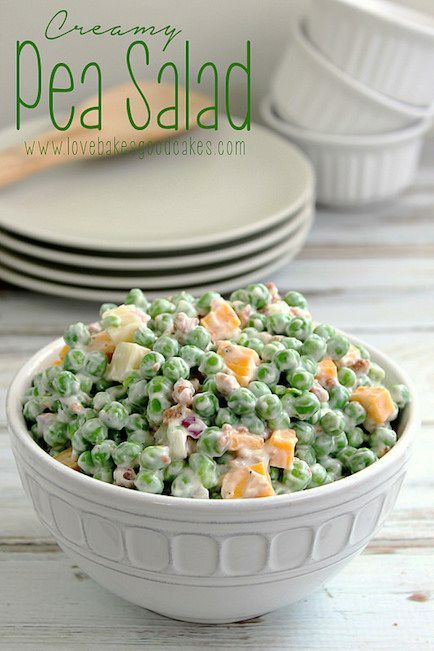 Creamy Pea Salad – This just feels like the kind of thing that needs to be on an Easter dinner table. Looks so good! 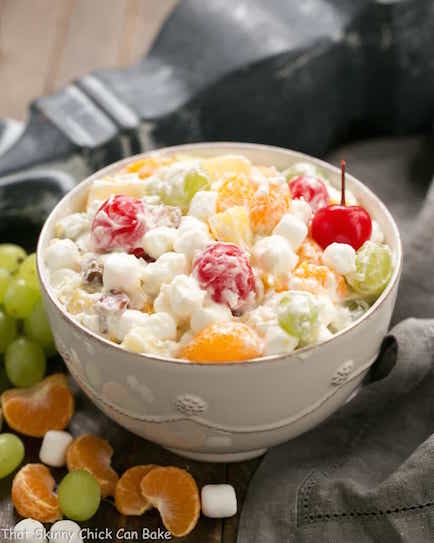 Ambrosia Salad – This version is also made with zero Cool Whip! 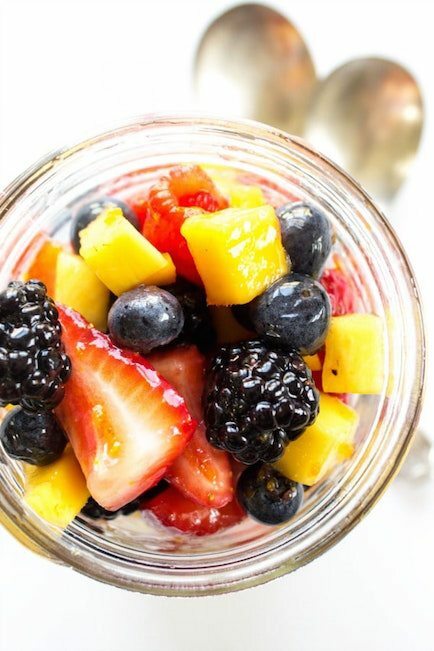 Mango Berry Fruit Salad – In case you need a light, but sweet addition. 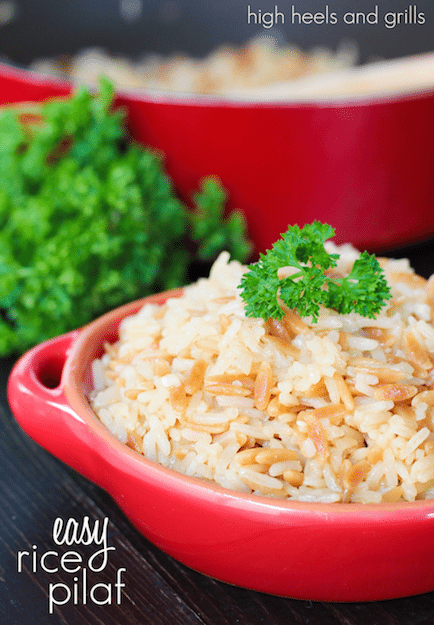 Easy Rice Pilaf – It really is the easiest. But you wouldn’t guess it for how amazing it tastes. 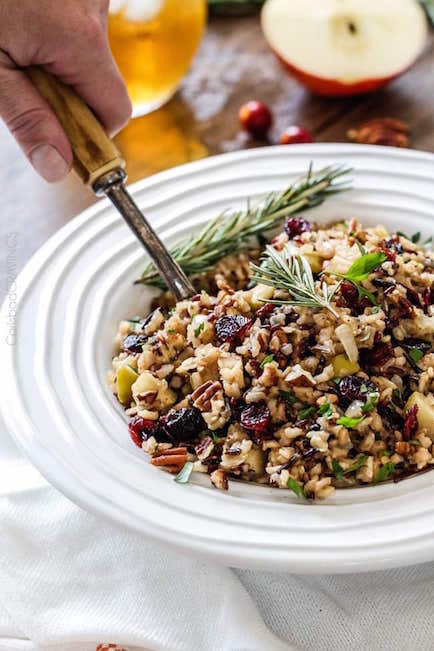 Cranberry Apple Pecan Wild Rice Pilaf – A fancy side for a fancy dinner. 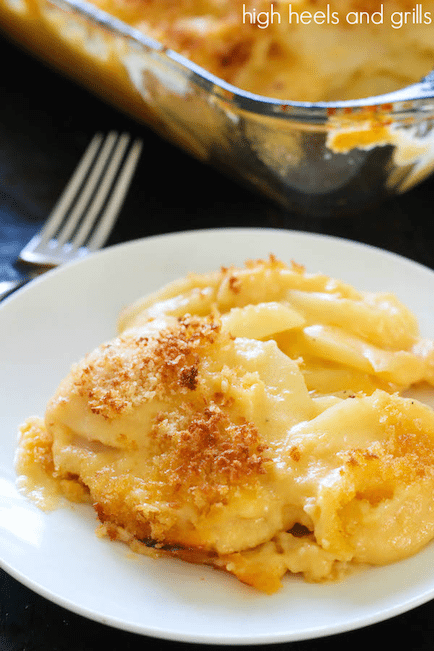 Cheesy Scalloped Potatoes – They are seriously the cheesiest. And taste so stinking good. 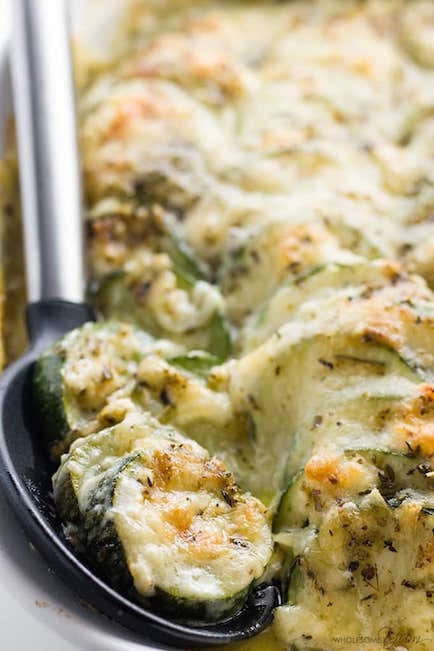 Zucchini Gratin – Vegetables covered in cheese, just as they should be. 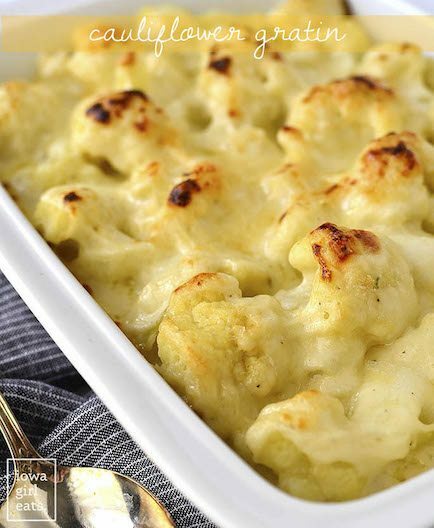 Cauliflower Gratin – More veggies covered in cheese, but a little bit more mild version. Looks so good. 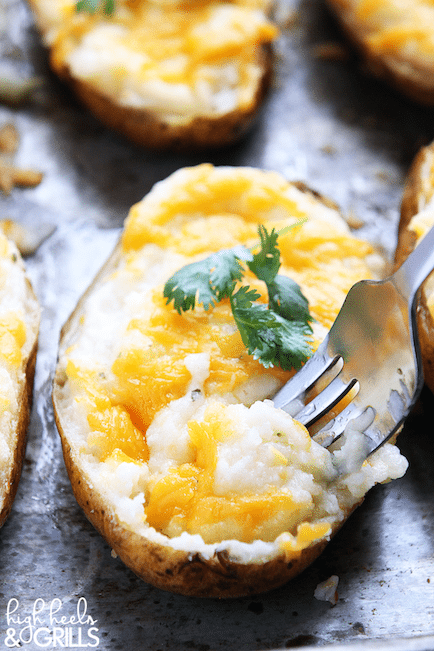 Cheddar Ranch Twice Baked Potatoes – These are seriously my favorite way to eat potatoes. There’s so much flavor and they’re so creamy! 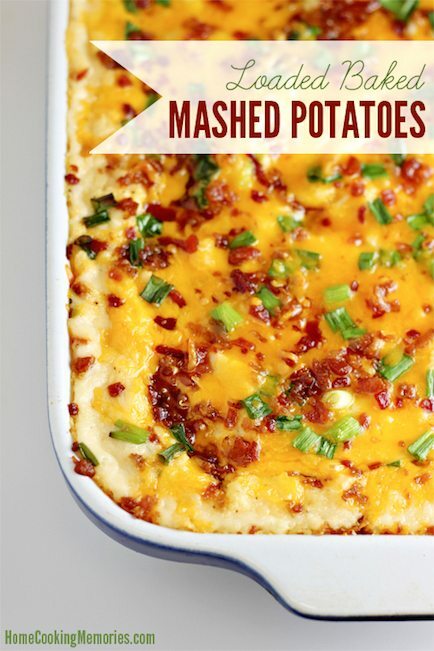 Loaded Baked Mashed Potatoes – It’s like a baked potato, but without the skins and they are already mashed. 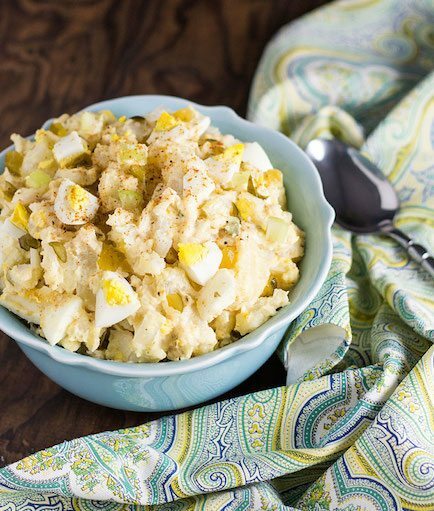 Mom’s Potato Salad – If it came from Mom, Grandma, Gigi, Nene, or anything other variety of endearing term referring to a woman in your life, you can bet it’s delicious! 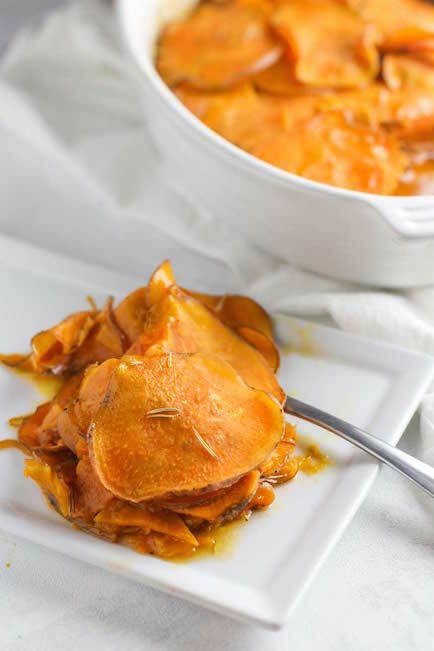 Scalloped Sweet Potatoes with Maple Butter – Most holidays require sweet potatoes and this looks like an amazing version to try! 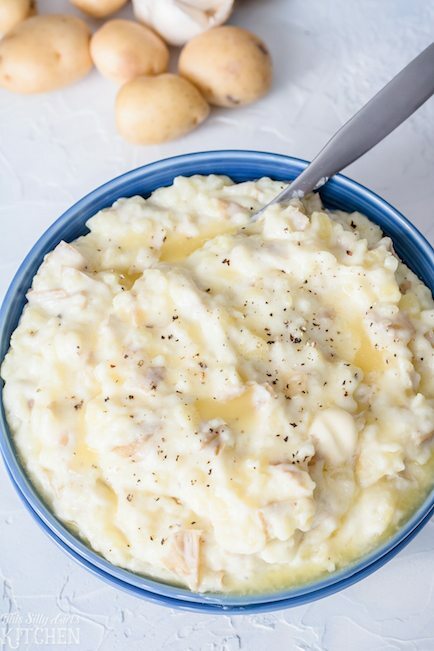 Garlic Mashed Potatoes – And they are ready in just 20 minutes!! 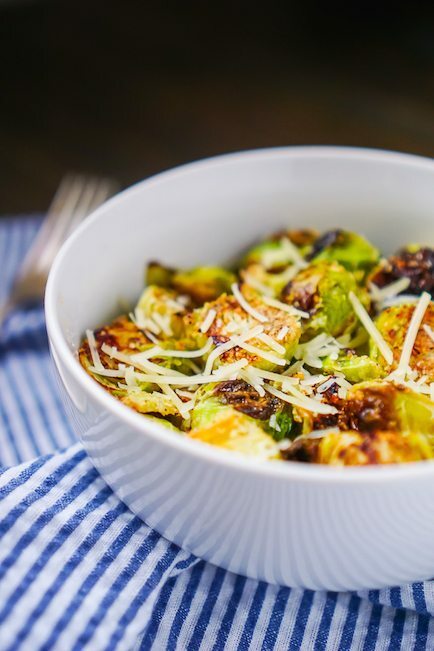 Garlic Parmesan Brussels Sprouts – I can almost taste these just looking at them. 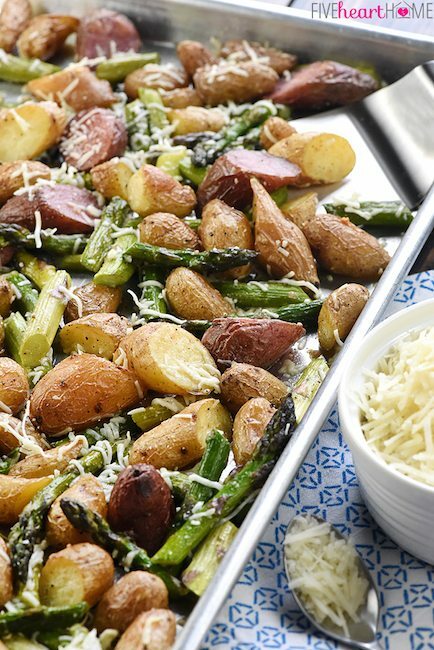 Garlic Potatoes and Asparagus – The perfect combo! 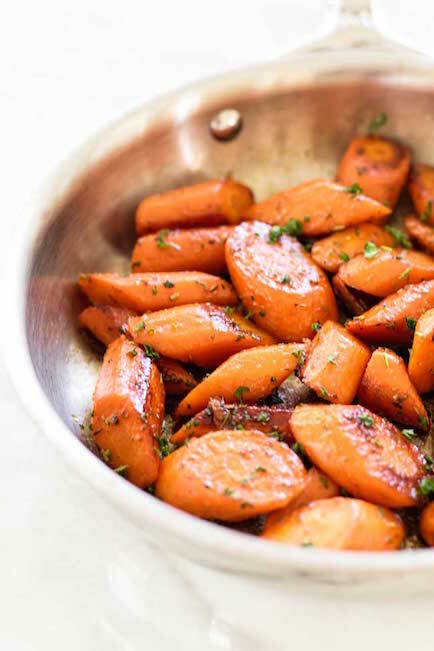 Lemon Honey Glazed Carrots – This sounds like a fun twist I would want to try! 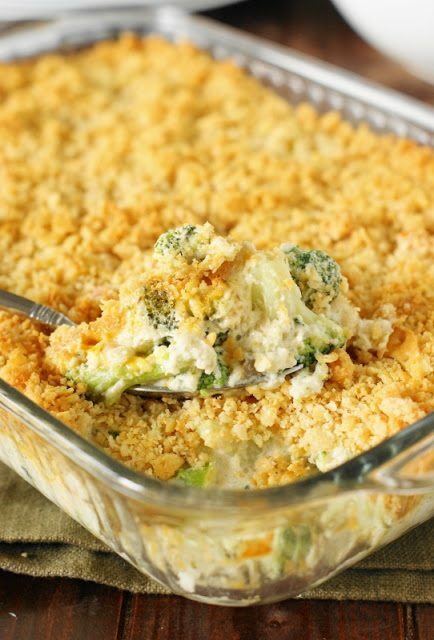 Cheesy Broccoli Casserole – I think I could even get my kids to eat this. 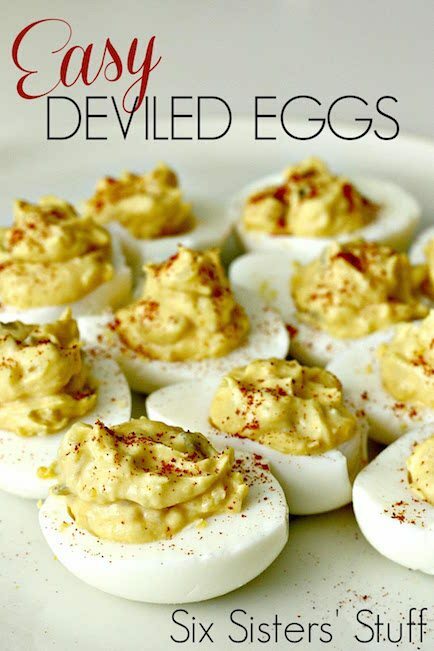 Easy Deviled Eggs – You can’t have Easter dinner without these! They’re a classic. Mini Green Bean Casseroles – The best part of green bean casserole is the crunchy onions and it’s all over once they go soggy. 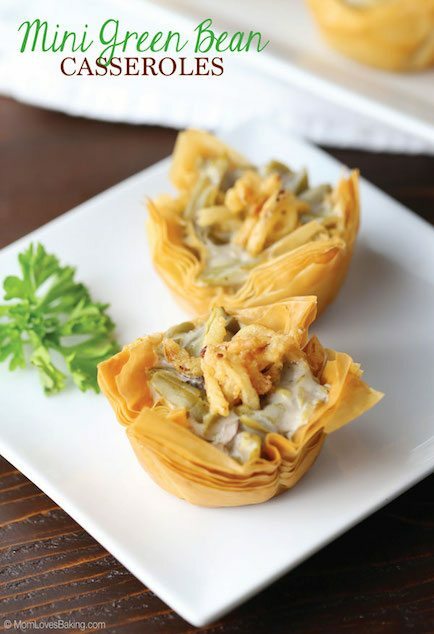 The puff pastry in these individual servings gives you the crunch you’re craving the entire time you’re eating it! 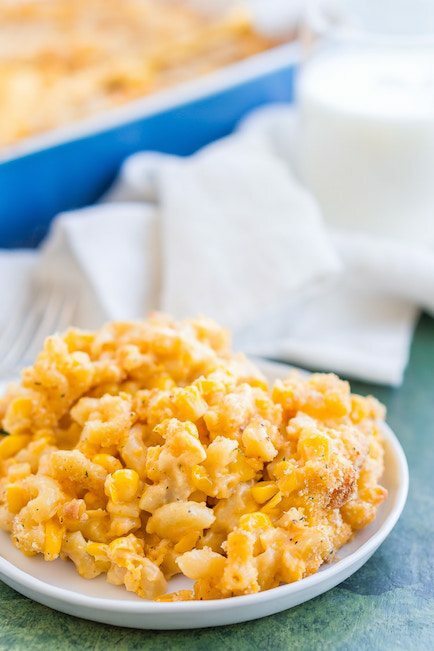 Corn Mac and Cheese – I love sweet and salty combos! 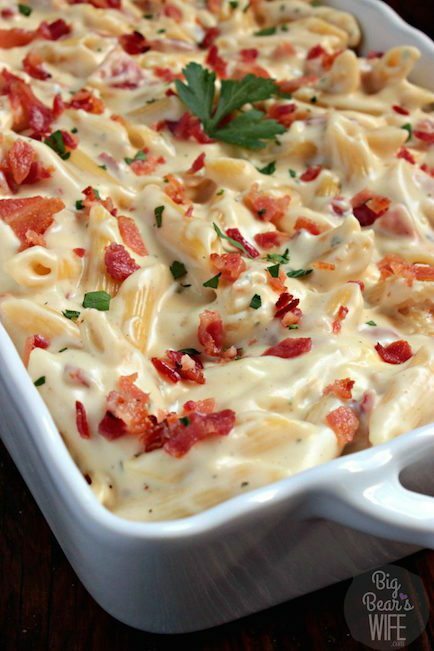 Bacon Ranch Mac and Cheese – Three of my favorite foods, all tied into one. It doesn’t get better than this! 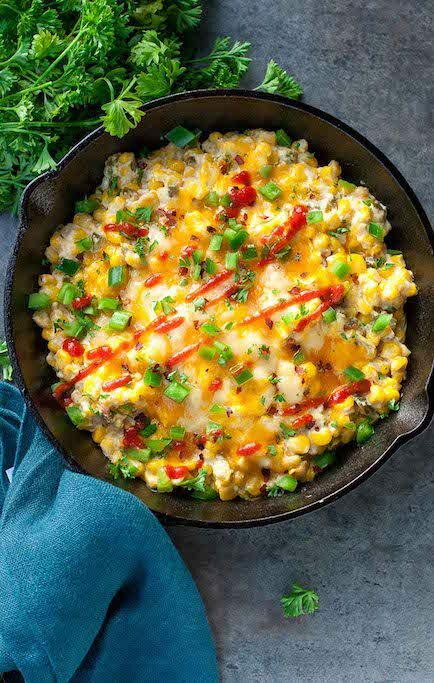 Southern Spicy Hot Corn – The spicy kick would add a great element to your Easter Dinner this year! 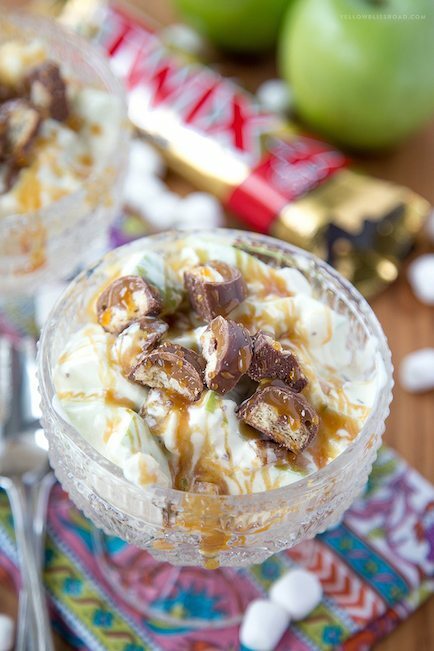 Twix Apple Fluff Salad – It has fruit in it, so it’s healthy, right? 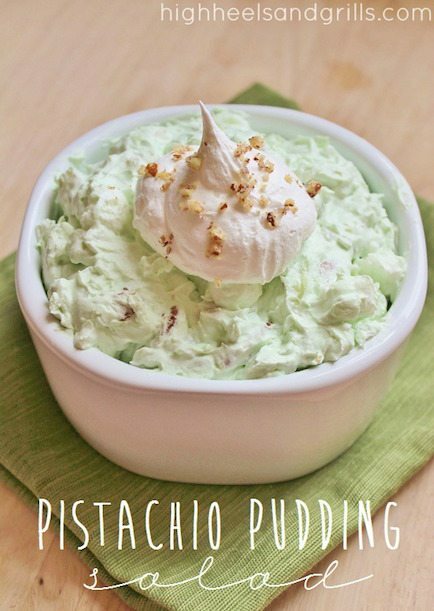 Pistachio Pudding Salad – Also known as Watergate Salad. Also known as delicious. 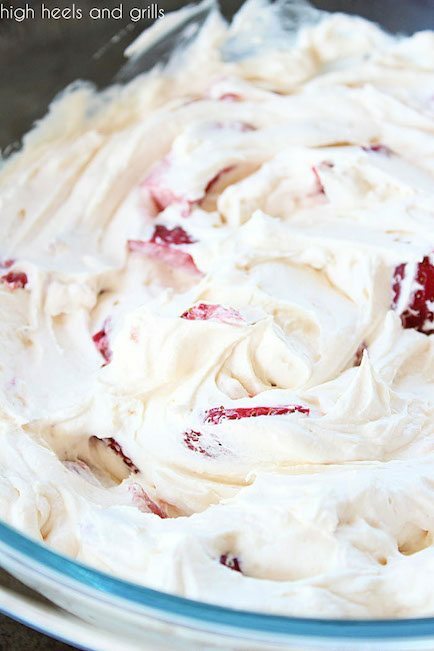 Strawberry Cheesecake Fluff – This one is always popular whenever I take it anywhere. Sea Foam Salad – Jello, pears, and it ends in the word “salad”, so it’s free game. 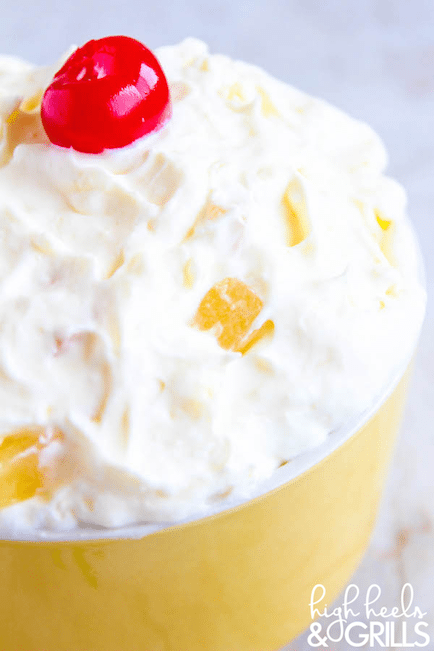 Pina Colada Fluff – Tastes just like the drink. It adds such a refreshing element to dinner! I hope you find some favorites in this round up of the Best Easter Side Dish Recipes! And I also hope you have a wonderful Easter and enjoy the knowledge that our Savior lives again!